❤ Dear Souls, it is I, Indriel. I am your dear friend and protector, and I am most honored to have had the pleasure of guiding you thus far, along your road to Ascension. I love each and every one of you unabashedly and beyond measure. Together with the whole of the Angelic Realms, I am filled to overflowing with joy at your unparalleled successes and we are quite beside ourselves; enthralled, victorious, as another threshold has been crossed. Indeed, with the re-election of one of your own – a fellow Light Warrior – to the office of President of the United States, you have made a statement and set a precedent. You have joined as one to show the world that the Light cannot be extinguished. It cannot be dimmed. It only grows brighter and spreads farther. So, take this as a sign that the American people are waking up and humanity cannot be fooled any longer. Regardless of where you reside on the planet, this is a significant event for you. It is the tangible proof which you have been asking for, proof that progress is being made. ❤ So now, it is on to the next phase. The 11-11 is just around the corner and for those who are only now coming into awareness, it shall herald the onset of a most miraculous and mind-boggling series of awakenings. Dear Warriors, it is now that the truly exciting work begins! For you it shall be a lightening, a well deserved relief, both energetically and physically. Expect to gain a finer clarity of vision and a series of energetic upgrades which shall come in gradually, as the portals open up. Youthful vitality, a lessening of the old, nagging Ascension symptoms, a vibrant luminosity to the skin and brightness to the eyes. As your physical bodies ascent slowly begins to catch up with the steady increase in your vibration, you may expect to feel and see these as obvious changes as the year of 2013 progresses. ❤ You may also expect to experience tremendous changes in the areas of personal lifestyle, career and life-purpose. Know this, Beloveds, that you did not incarnate here to pass your days doing inane tasks and to be bound, slavelike, to such baser states of struggle and competition. The incoming energies and the portal openings of 11-11 mark a kind of beginning and ending all in one. The 3rd dimensional paradigm is clearly at it’s end. Much of it’s remnants are exiting through the portals, and thereby leaving space for something far grander to take it’s place. You who have been working at clearing and processing away the toxic programs of the past – both within your own vessels and planetwide – have laid the foundation for the 5th dimensional New Earth paradigm to lock on and begin to manifest itself, unhindered, as a perceivable reality. Plan to experience a progressive freeing-up of your resources and the pressures you have been facing in your daily struggle for survival. Thus, you shall be free at last to listen to your heart, follow your dreams and be truly fulfilled as you do your true life’s work. You cannot comprehend this, can you, how this shall feel? No, we think not. We think, in fact, that it shall be a most startling surprise! ❤ As I said before, the old world is collapsing in onto itself, and therefore it is necessary for you to find a new place for your energy to take root. This new point of connection would be Gaia’s magnificent Crystalline Grid. Latch onto it, feed from it, nourish it in return and grow together with it as one new construct. Partner up with Gaia, Beloveds, and be as one in Divine synchronicity. 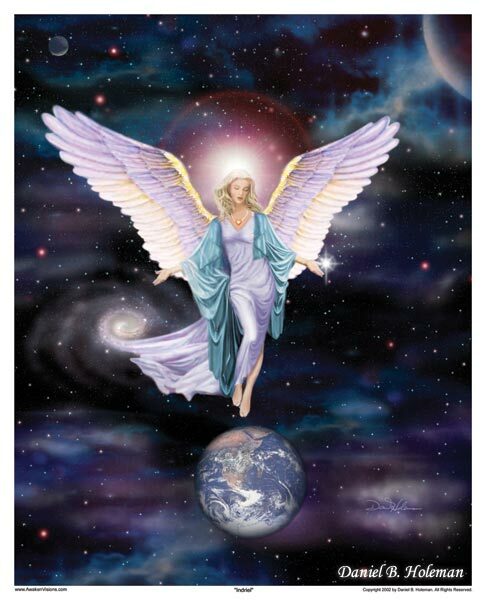 She wishes to assist you in your transformation, in the same manner in which you have been assisting in her in hers. The 11-11 is time of detachment and reattachment. Some say it an unlocking. Do not let this pivotal opportunity pass. You must plan to take it very seriously. Amend your schedule and set aside time to participate in the one of the many global meditations taking place. In fact, participate in more than one. Mark this day as a high Holiday, and make your spiritual evolvement priority number one. Involve your friends and loved ones. Spread the word to any who shall listen, as this is a day of Unity. Gaia is ready to take her next step, and she wishes for all her blessed children to go with her. ❤ You have crossed over the threshold, out of 3rd density, and are well on your way to the 5th and ever higher. The only job you have left to do is to love. Love everything and everyone; every person, animal, place and thing. Absolutely nothing else matters now. There is truly nothing at all which is more important. For it is love which shall propel you the rest of the way. Only love can melt the hearts of those who don’t believe. You are tasked to make this the primary thing to focus on from here on in, perhaps the only thing. Love is all we are and all we aspire to ever be, and it is from this platform of unconditional love that all is created.